Each May we focus on fitness by incorporating a daily 30 minute workout. Whether it’s walking, running, Zumba’ing LOL or lifting weights, it all counts!!! To get you started, we’re partnering with Boomshock Fitness for her signature Drop 10 Challenge! This challenge is designed to help you jump start the process of eating healthier and applying physical activity..essentially, it’s going to help you burn more calories than you eat with a goal of dropping 10 pounds in 10 days. 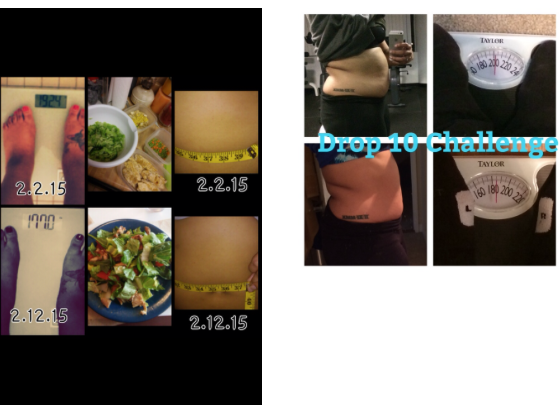 Click here to read the entire challenge overview and see below for before/after photos. This challenge will kick off our fitness focus May 4th-13th. I highly encourage everyone to participate because I’ve seen the results and it’s amazing!!! But, there’s no gimmicks, no cheating allowed (no pills, teas allowed) and a health assessment is required, but don’t worry it’s just a simple form you have to complete. The fee for the challenge is only $10 and has to be paid by May 1st. Click here to register for the challenge. Then, complete this fitness assessment and send it to boomshockfitness@gmail.com by May 1st. Summer time will be here before you know it, let’s prepare for some sun in the fun!!!! Here are a few pics from previous challenges.